So many people wish for fame and renown during their lives — or even for just a little bit of notoriety. But among our Kindred, that’s very nearly a fate worse than death. Don’t take my word for it, though. Go and ask some questions. Find out about who they talk to in the Necropoli of the Nosferatu, and in the perfumed salons of Elysium. Listen to what they say about them, and listen even more carefully to what they don’t say. Then maybe you’ll understand that the worst thing you can do is to stand out in a society of blood-starved murderers, my boy. Explore the exemplars of Kindred society, celebrities and leaders among the undead, and the monsters that haunt its fringes. 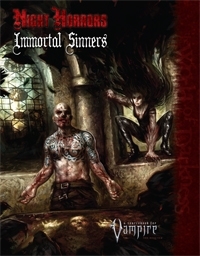 Includes a selection of truly ancient vampires, creatures driven by the madness of eternity and the hunger of ages. 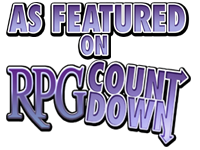 Players will find a selection of new bloodlines, Merits, Devotions and other useful details for their own characters, as well as potential sires, allies and enemies — and the things Kindred say about them. Storytellers are presented with a complete selection of characters to populate their chronicles with, complete with story hooks and rumors about them.